Announcement Hoop earrings , Personalized gifts for her , Handmade jewelry , Unique gifts for women, all handmade with love and coffee! Hoop earrings , Personalized gifts for her , Handmade jewelry , Unique gifts for women, all handmade with love and coffee! Great communication from shop owner, thoughtful packaging, and wonderful product. The earrings are just as expected. I really like the way they close. Would not hesitate to buy again from Keikeaux. I love this fine beautiful art! 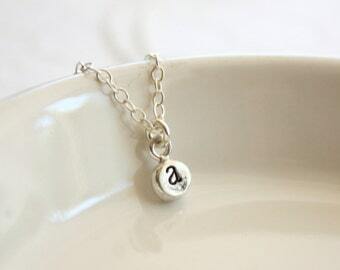 A teeny handcrafted initial charm, made with lots of love. 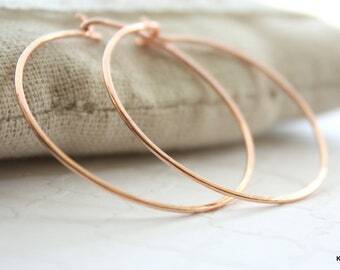 A favorite pair of hoops is a must-have accessory. Teeny tiny sparkly beads for a subtle and sweet statement. Keikeaux (kay-ko) is the outward expression of my always-present creative desires, the love of simple shapes in bold formats, the celebration of imagination and the creation of something handmade. I personally make every piece you see in my shop, and you converse directly with me when you send me a conversation, save my creations to your Favorites and purchase something you adore. Copper is my metal of choice because it's warm, accessible, strong and easy to care for. It looks beautiful polished and shiny as well as aged and darkened. Thank you for stopping by, and please say hello. Hello. My name is Jennifer, and I design and create all the items for Keikeaux (kay-ko). I am a self taught artist, and love seeing wire and gemstones transform into beautiful jewelry. I work primarily with copper, a strong, warm toned metal. Hello and Welcome. Thank you for taking a moment to get to know a little about me and my work. All Keikeaux items are individually created by me, Jennifer, in Orange County, California. I will only provide products that I am happy to gift to loved ones, wear and use myself. Another bonus? Since you are working directly with me, you receive attentive service and items tailor-made for you. Keikeaux makes it easy to gift meaningful artisan jewelry. 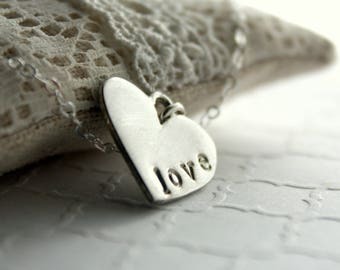 I hope that you love your jewelry, as I take great care in each creation. Does your necklace or bracelet length fit a little too short or long? I can usually resize these easily. Please contact me for details. If your jewelry is damaged in shipping, please let me know. I package everything in a gift box to protect your purchase, so damage is not likely. Generally speaking, all sales are final. If you have any questions about your purchase, please send me an Etsy conversation within three days of receipt. I will do what I can to help, as I want you to be happy with your purchase and your experience with Keikeaux. I prefer PayPal and also accept Direct Checkout. Once you have chosen that perfect item, please pay promptly. Then I can send it out, and you can wear it! Click "Check out with PayPal"
At the payment screen you should see an option at the bottom with "Pay with a debit or credit card". Click that and then enter your card information on the next screen. California residents will be charged 8.00% sales tax upon checkout. ♥ PLEASE NOTE: The "Other" payment option is available only for individuals I know personally who pay with another method. Please allow three days before shipping for completed items and seven business days for “Made to Order” items, although I work hard to complete item(s) sooner. Custom orders may take longer if I need to acquire materials to complete the jewelry. RUSH ORDERS: Any requests for rush orders (shipment before seven days - see above) will incur a $15.00 additional fee. I make every single item with my two hands, and asking to receive jewelry "by this date" or "ASAP" requires me to delay other orders and takes time away from my family. Thank you for your consideration. I ship with USPS. Domestic orders are shipped First Class with Delivery Confirmation. International orders are shipped First Class International. Please make sure that your Etsy and Paypal address match. If they do not match, I will send you a conversation to clarify your preferred shipping address. I may use recycled materials, such as bubble wrap and packing paper when shipping your item. A gift box and ribbon safely hold your purchase. When purchasing more than one item, I may use one gift box for both. If you would like separate gift boxes, please let me know. The cost for shipping your jewelry includes outer packaging, envelopes, a box, labels, etc. Your lovely items wouldn't fare well in the mail system without them! Let me know if you would like additional mail services (insurance, etc.) I am more than happy to ship with your peace of mind…in mind. Need it FAST? I offer Priority Mail and Express Mail delivery (within the United States). The Priority Mail option is available during checkout. It is $26.00 extra for Express Mail. Please leave a note in "Message to Seller" and via Etsy conversation to request this shipping upgrade. I cannot guarantee transit time or arrival date, but USPS does offer guarantees with certain mail options. ♦ If your order is lost in the mail, please let me know so we can work out a solution. You may choose the option for insurance and shipping upgrades if you would like them. Please inform me that you want shipping upgrade(s) in "Message to Seller" upon checkout. I don't include a printed invoice in the packages. If you would like one, please leave me a note during checkout. Receipts are available for viewing and printing in your Etsy account. Some international orders require a printout that reflects the transaction details. In those instances, I do include a transaction slip. Customs and similar fees, if any, are the responsibility of the buyer. All work and designs: Copyright 2009-2018 Keikeaux. You have a great imagination. Please don't borrow mine. I go to great lengths to ensure that you are receiving a very well made item. Please remember that jewelry is to be handled with care during wear and storage. Copper is a strong metal, and is easy to care for. It's pretty fuss-free. ♥ ♥ ♥ Copper will produce a natural patina (darkening) on the surface ♥ ♥ ♥ , and can be easily brightened with a little diluted vinegar and salt (yep, the stuff in your kitchen cupboard!). For jewelry with copper and/or sterling silver, the above is a great method. For jewelry with added stones or glass, a jewelry polishing cloth will be useful for cleaning only metal areas. ♥ OXIDIZED JEWELRY ♥: An oxidized finish is a dark finish applied to metal. When you select an oxidized finish for your jewelry, I darken the surface, achieving a rich look. The oxidation will wear uniquely with you, and may darken or soften over time. 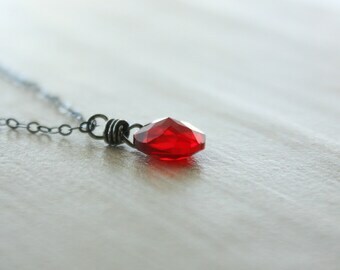 Do not place oxidized jewelry in vinegar or detergents, as this may literally remove the patina. JEWELRY WAXES: Professional jewelry waxes may be applied to jewelry to protect the finish. 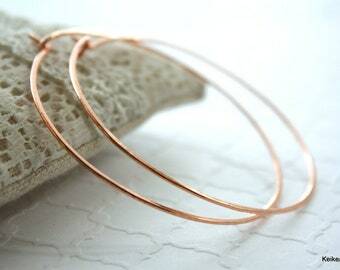 Over time, copper jewelry will darken naturally, as this is a temporary treatment. To brighten copper jewelry, vinegar and salt is an easy, accessible option. I try to accurately name the natural stones and materials that I use. However, gemstones and other materials are often known by more than one alias. Because many materials I use are from the earth, they will often have variation in texture, pattern and size. This is the beauty of gemstones and other materials, not a flaw. Please also note that your computer monitor may show colors as slightly different than the true hue of an item. My clients are top priority, and I want your experience with Keikeaux to be a great one. If you have any questions or concerns regarding your purchase, please contact me before leaving neutral or negative feedback. I am always available to my clientele, and they can tell you I am helpful and open. Any discount offers that you receive must be noted in "message to seller" or the coupon code area (when applicable) upon checkout in order to obtain discount. Sales in-store will be noted on keikeaux.etsy.com. Shipping is not included in purchase minimums. Only one promotion/discount may be used in a single transaction. P.S. I don't smoke and don't have any pets. Keikeaux jewelry is created for adults, and is not intended for children. I may use all jewelry I create in photographs for display, in listings for sale on Etsy, the Keikeaux website, marketing materials and social media. I operate http://www.Keikeaux.etsy.com, http://www.BendandSpark.etsy.com and Sweet Bead Jewelry. Read this far? Thanks! Enjoy Free U.S. Shipping on $15+ with coupon code: FREESHIPPING15. $4.00 discount on International Orders of $30+ with coupon code: WORLDSHIPPING. 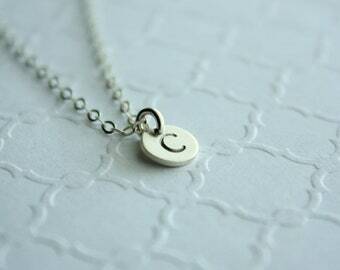 Your information is used to communicate with you about your order and ship your lovely items to you. I ship with PayPal, and input your shipping address to produce a shipping label. I retain transaction details for tax purposes. To complete your order, you must provide me with certain information such as your name, email address, mailing address and payment information (payment information is processed through Etsy, and I do not see your credit card number, etc.) and order information (products/details specific to your order). All information you provide to me through Etsy is also provided to Etsy. I share your information with trusted shipping providers such as USPS and PayPal in order to prepare your order for mailing and to ship it. I also retain your information to comply with legal requirements such as taxes or government requests. Remember, I receive your information through Etsy, and it is limited to such things as your name, email address, payment information (without credit card number) and the shipping address you provide. If it is necessary to receive additional information from you to fulfill your order, you will generally email me through Etsy as well. I retain your personal information in order to comply with tax requirements, and generally keep this data for a period of seven years. Your Etsy orders are kept electronically within the Etsy database and my Etsy account. PayPal also retains a record of transactions (when using PayPal to pay) and shipping labels generated through PayPal. I keep the “receipt portion” of the shipping labels in order to fulfill my tax requirements. Etsy.com and Keikeaux are based in the U.S. and your personal information may be stored and processed in the U.S. upon you registering with or purchasing through Etsy. If you reside in certain territories, including the EU, you have certain rights with regards to your personal information. You may have the right to access and receive a copy of the personal information I have about you. You may have the right to express concern about, change, restrict my use of or delete your personal information. For the purposes of EU data protection law, Keikeaux is the data controller of your personal information within my shop Keikeaux on Etsy.com. If you have any questions or concerns, you may contact me through Etsy conversations (preferred and most direct method), at keikeaux [!at] gmail.com or by mail. Please request my mailing address if you require it.